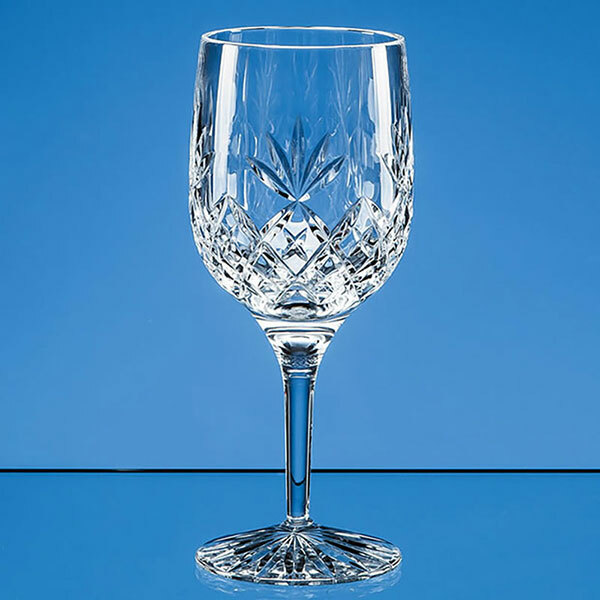 280ml Blenheim lead crystal full cut goblet offered with professional text and logo engraving and an optional satin lined presentation box. 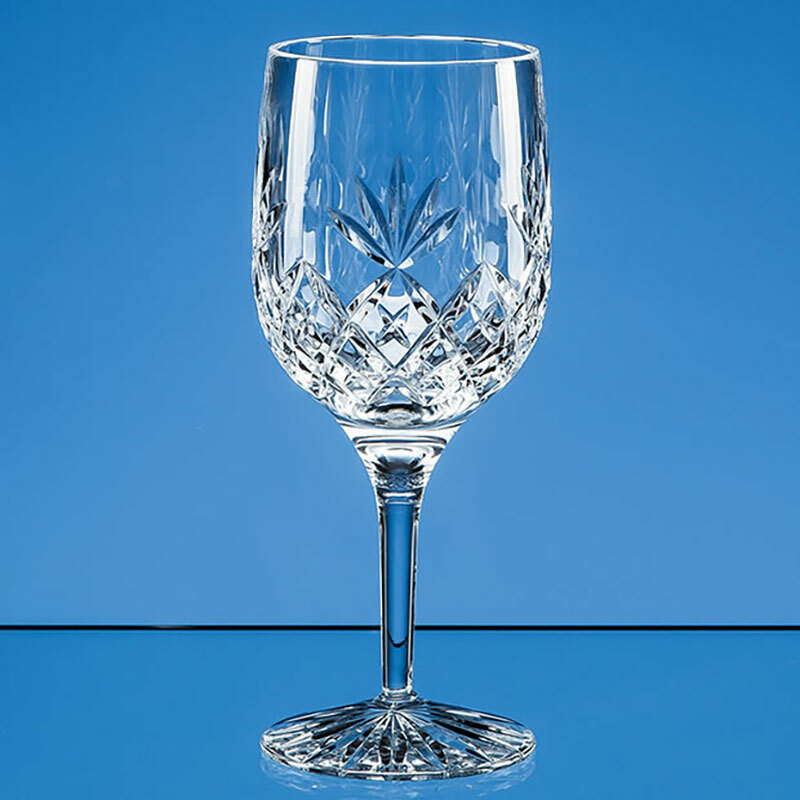 Classic goblet with cut decoration on the body, slightly tapered stem and star base. A traditionally styled goblet with cut decoration on the entire lower half of the body. These 280ml capacity goblets also feature an elegant tapered stem. They can be customised using our professional laser etched engraving service, allowing you to create personalised gifts or awards for special occasions or achievements, or branded corporate merchandise. Engraving will be applied to the upper half of the goblet body. An optional satin lined presentation box is available for your engraved wine glass goblets.